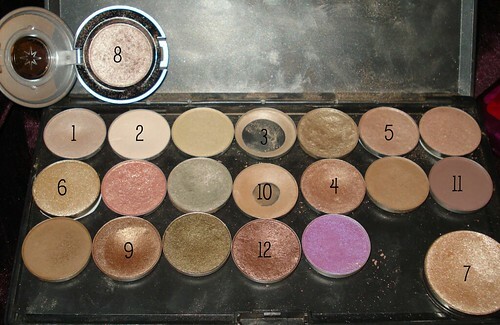 Legally Strawberry Blonde: TOP 12 EYESHADOWS! I thought it'd be fun to do a blog post on my top 12 eyeshadows! Why 12? 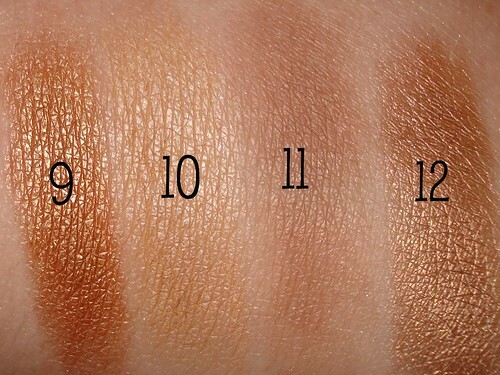 Because I did 4 swatches on my hand and I didn't want to have 2 pics of 4 swatches and one of 2, it just bothered me! So booonus! Most of these are MAC and thats because I love their formula and when you have a palette, pan-shadows run $11. Otherwise the shadows are $14. But I love them! Sorry some are cut off! Click on the photo for full-size!!! 1. MAC "Phloof" this is a frosty off-white-but-almost-white and I ADORE this in the inner corner of my eye and as a bright highlight! Makes such an awakening effect! 2. MAC "Dazzlelight", a new one for my collection, but this color is freaking GORGEOUS! Its another soft-bright-off-white but has a pink chrome-opal-ness to it! It is amazing, and I usually wear it all over! 3. MAC "Shroom", guess what? 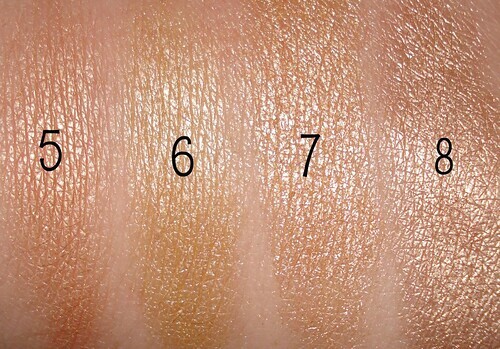 Another off-white-pale-beige with shimmer, I love this as a shimmery highlight or even all over! 4. MAC "All That Glitters", aaah my first MAC shadow! Beautiful peachy-light-brown. It has shimmer and almost some bronze sheen. Universally beautiful color! On my second one! 5. MAC "Naked Lunch", a beautiful champagne with a strong pinkness to it, a little sheer, but a must-have and a go-to shadow for me! On my second one! Woot! 6. LORAC "Star Quality", BEACH SANDY BLONDE. That is all. If MAC "Retrospeck" wasn't so messed up and weird, this would be it! 7. Stila "Kitten", another amazing champagne but more bronze/gold, I do find that I have some fall out with it! 8. Urban Decay "Sin", I know no one has cared about this shadow until it came in the Naked Palette, but since I couldn't find the Naked Palette, I bought single! Its a beautiful straight up champagne. Uhmm can you guess my favorite eyeshadow color family? 9. MAC "Woodwinked", Awesome bronze-deeper-brown! Amazing for blue eyes! 10. 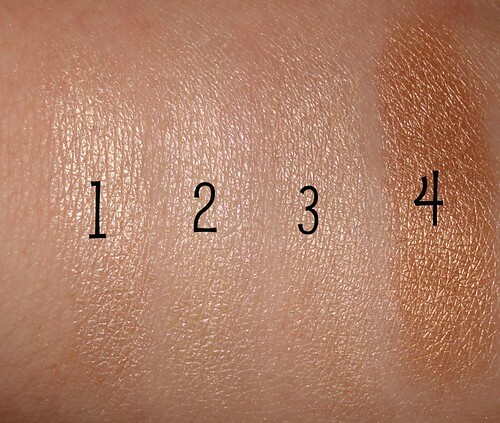 MAC "Grain" is a mattish-medium-brown, I usually wear it all over or in the crease for a subtle definition! 11. MAC "Haux", my favorite crease color! A darker-plumier-brown. Its gorgeous for the crease and isn't that dramatic but adds something! 12. MAC "Sable", a darker shimmery version of "Haux" but a little bit more plum! Again, I'll wear this all over or just the crease! What are some of your favorite shadows?! Favorite brand?! Let me know! Wow! I've yet to come somewhat close to hitting pan on anything! Because of that, I LOVE posts like this. My favorite brand might be Urban Decay, but MAC are my most used. I think I'll hit pan on Tempting soon. It'll definitely feel like an accomplishment. March Favoritos!! And A Product Update!!! 2 Allergic Reactions. 1 Day.